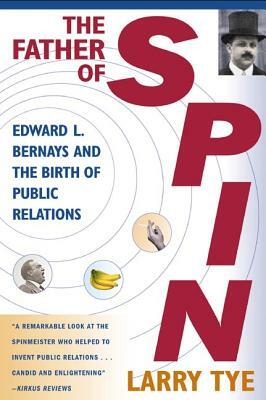 The Father of Spin is the first full-length biography of the legendary Edward L. Bernays, who, beginning in the 1920s, was one of the first and most successful practioners of the art of public relations. In this engrossing biography, Larry Tye uses Bernays's life as a prism to understand the evolution of the craft of public relations and how it came to play such a critical-and sometimes insidious-role in American life. Drawing on interviews with primary sources and voluminous private papers, Tye presents a fascinating and revealing portrait of the man who, more than any other, defined and personified public relations, a profession that today helps shape our political discourse and define our commercial choices. Larry Tye was a longtime journalist for the The Boston Globe, winning numerous awards for his work. A former Nieman Fellow at Harvard University, he is the author of The Father of Spin and Home Lands. He lives in Cambridge, Massachusetts.